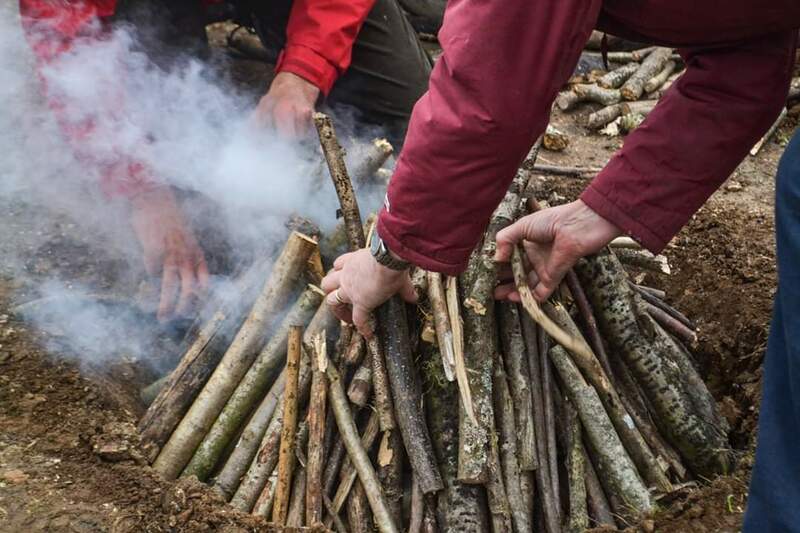 ‘What is experimental archaeology?’ people asked me. ‘But if you work within an experimental place, you won’t be able to put into practise the tools learned in your Masters about cultural heritage and museology’ said some of my classmates. However, for me it was really important to do my internship in a place where the archaeology was paramount; at the same time, I was interested in a site where there was an active and thriving education department. 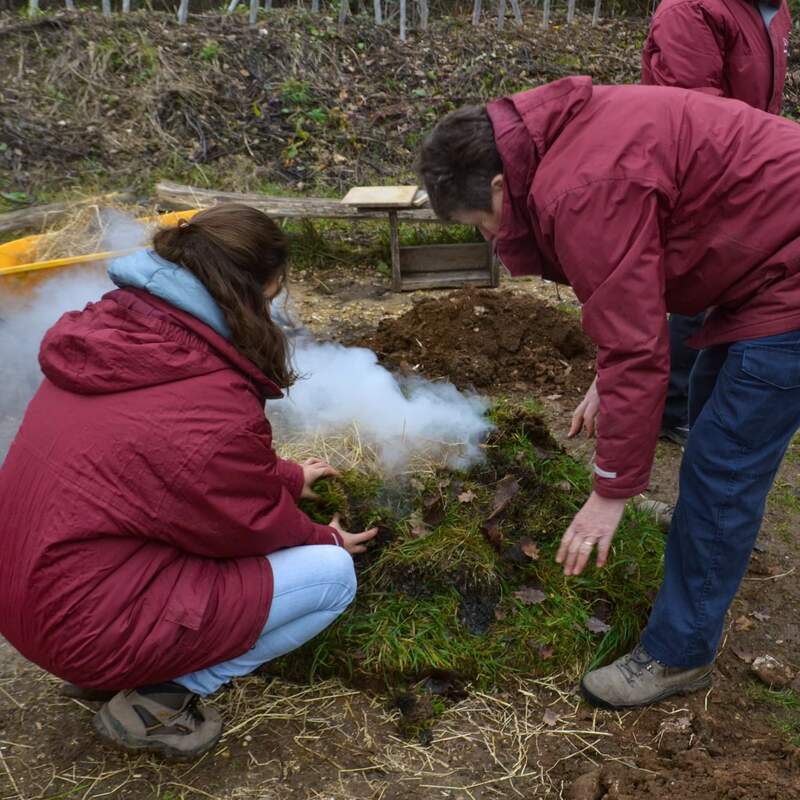 It is for these reasons that Butser Ancient Farm was the perfect choice to put into practice my interests: archaeology and education. 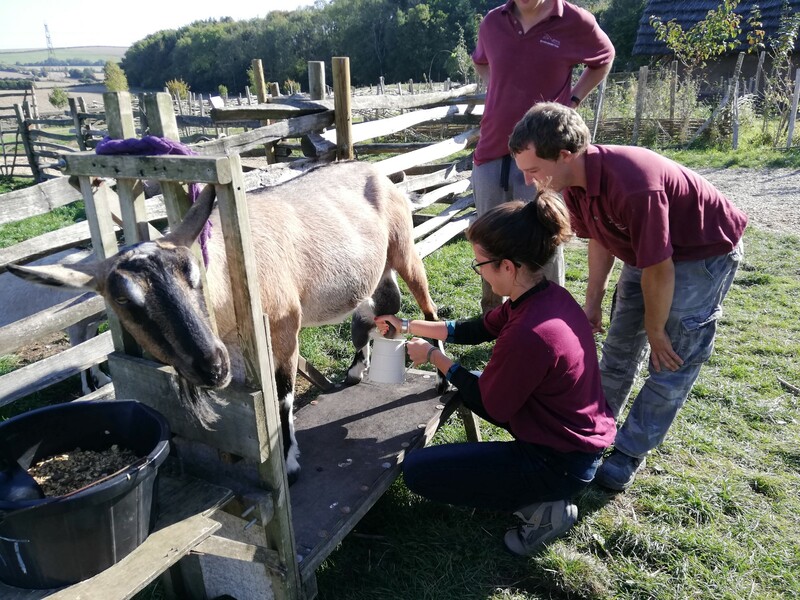 What has been the main difference between doing my internship at Butser Ancient Farm compared to another institution? My job has been varied, from feeding goats and painting the walls of the Roman villa, to meeting a Roman legion re-enactment group and designing a new stratigraphy sign. All aspects contribute to the important work of Butser. 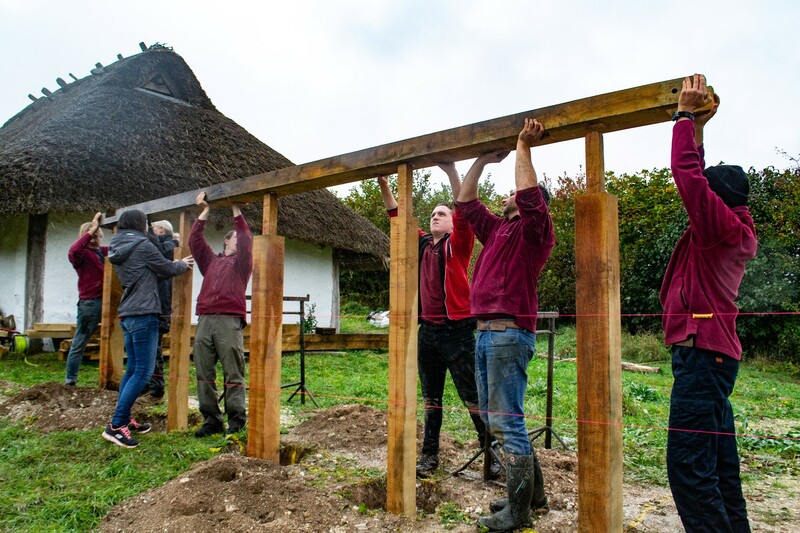 Butser Ancient Farm is an experimental archaeology site nestled into the rolling countryside of the South Downs National Park in Southern England. 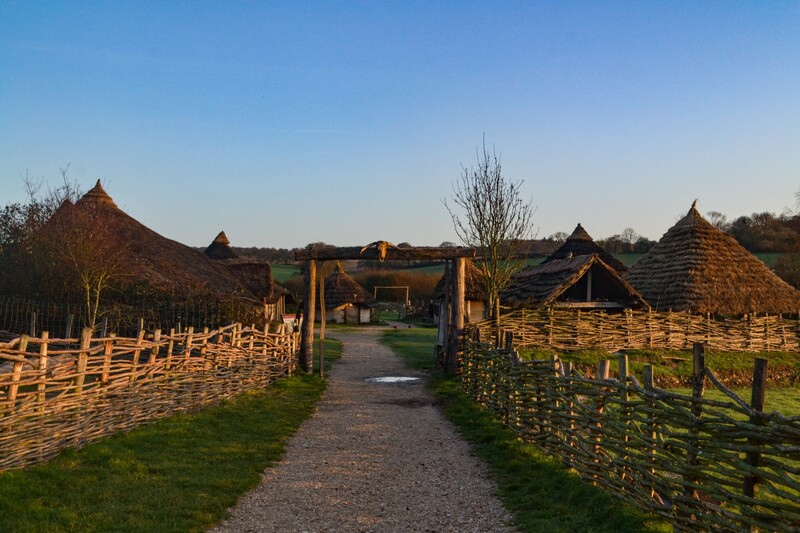 The farm features archaeological reconstructions of ancient buildings from the Stone Age to the Anglo-Saxon period (See Figure 1). When I arrived and I saw the site and the atmosphere I knew that I had made the best choice. During those three months internship, I have done a variety of jobs, all really different. In spite of being a site where experimentation is the main focus, we must take into account the main reason for reconstructing the past like this: it is explaining to our visitors what the lives of our ancestors was actually like. It is for this reason that not all the work that I have done has been archaeological experimentation. One area where I have been working for an extended period of my internship time is the education department It is necessary to explain to both children and adults what the tasks of the museum are. We must look for the right tools to transmit to our visitors the hypotheses that have been reached from our research. Therefore I have been helping the education team with workshops for schools, and had the opportunity to create new activities and materials that complement those already existing (See Figure 2). In addition to working with different resources to facilitate teaching, it is also very important to know what the opinion of our visitors is. 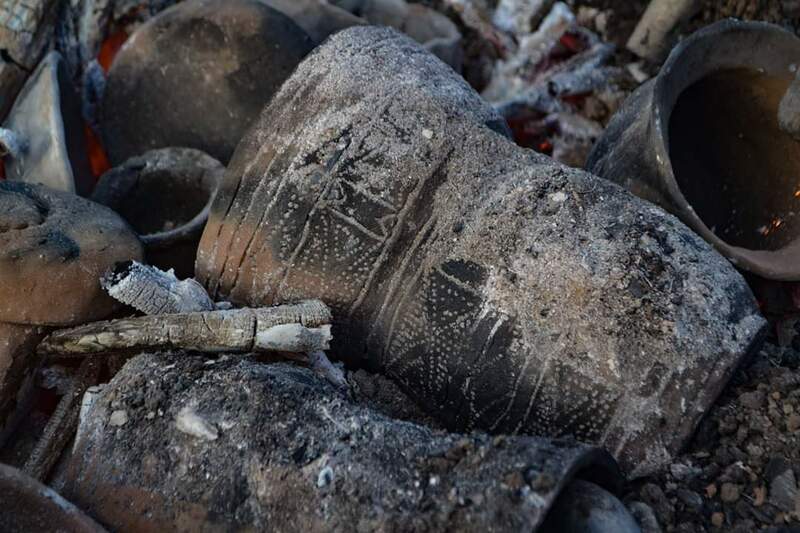 Many times, as archaeologists, we tend to think that our customers will understand the same terminologies and theories as us, but this is not always true. Archaeology often uses abstract terms that can be difficult to explain and understand. It is for this reason that we want to know if we are doing our job in a good way. 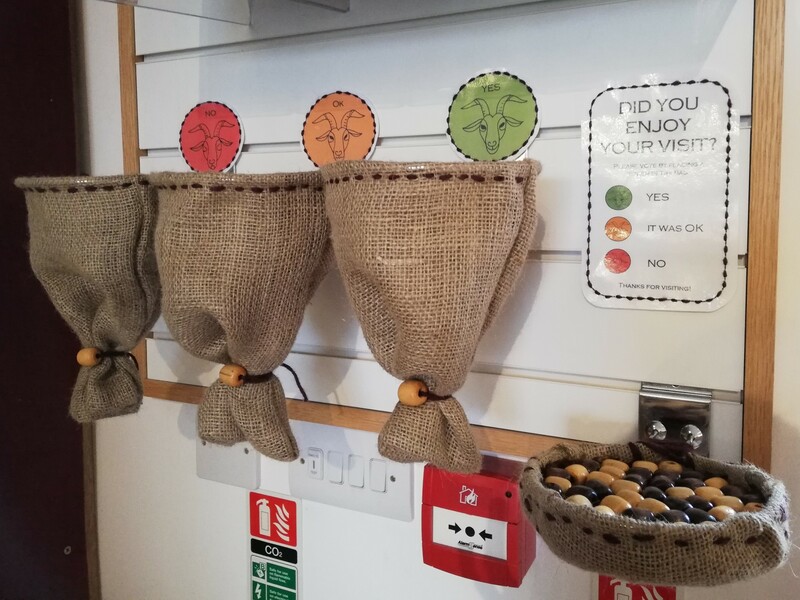 Therefore I have had the opportunity to create an evaluation area within the visitor centre. This is a small structure where people can say if they have enjoyed their visit or not. Moreover, I have created a comment box so visitors can suggest specific things or leave feedback (See Figure 3). What has been the main difference between doing my internship at Butser Ancient Farm compared to another institution? 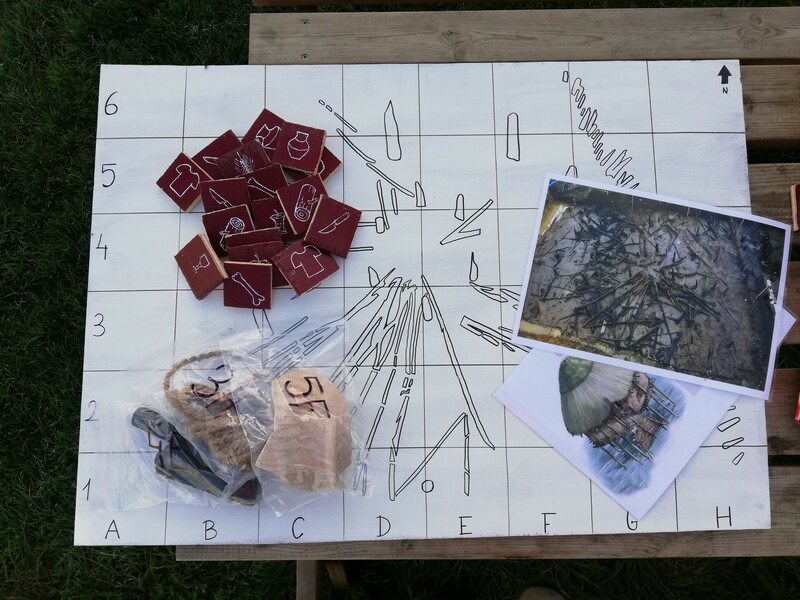 My job has been varied, from feeding goats and painting the walls of the Roman villa, to meeting a Roman legion re-enactment group and designing a new stratigraphy sign (See Figure 4). All aspects contribute to the important work of Butser. Nevertheless, the experimental archaeology is another subject that we have to present as well. 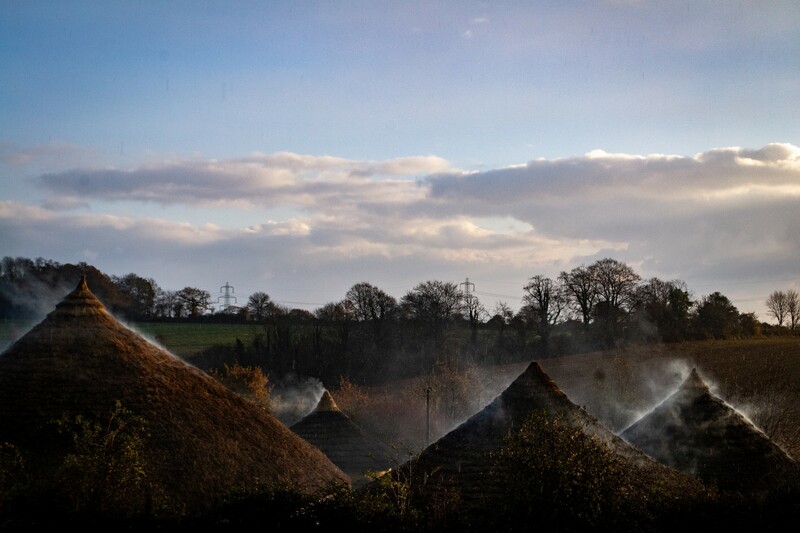 It is for this reason that, during my stay, I have seen how they built a new Anglo-Saxon house, how to forge a metal tool, and how to thatch the roofs of the round houses (See Figures 5 and 6). I have personally worked on two main projects. Firstly, I have been following how the hypocaust of our villa worked over the period of two weeks, to see if we could feel any temperature difference inside the building, and thus formulate conclusions to affirm previous or create new hypotheses. 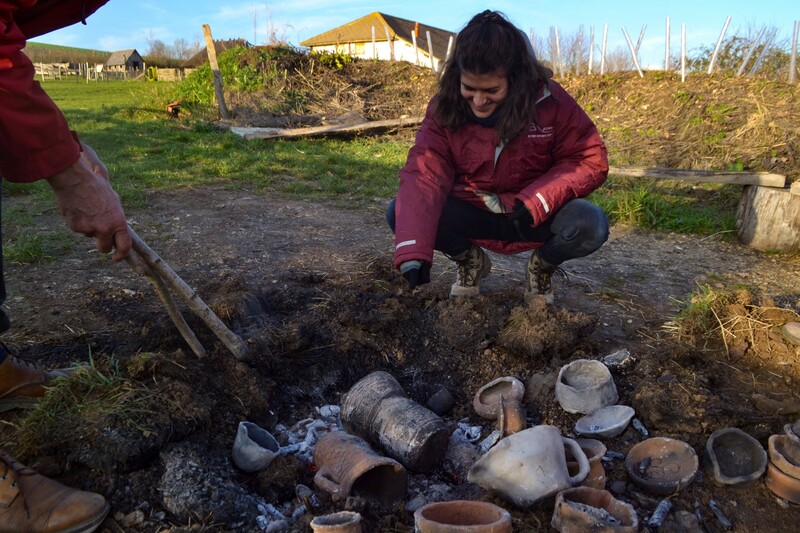 Secondly, I created different clay pots for an activity based in the Bronze Age period. We decided to fire in an experimental fire, using a technique called ‘Pit Clamp Firing’. Through this experiment, we wanted to assess the resistance of the clay we were using, and to learn if the way we made the pots had been right (See Figure 7). 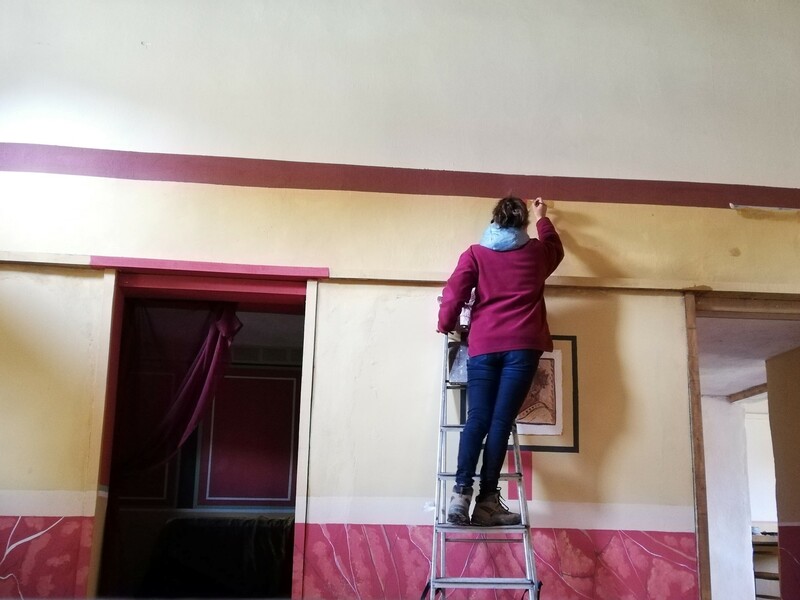 To conclude this brief article of sharing experiences at Butser, during my three month stay I have indeed been able to put into practise the knowledge from both my Master’s degree in cultural heritage and my degree in archaeology. 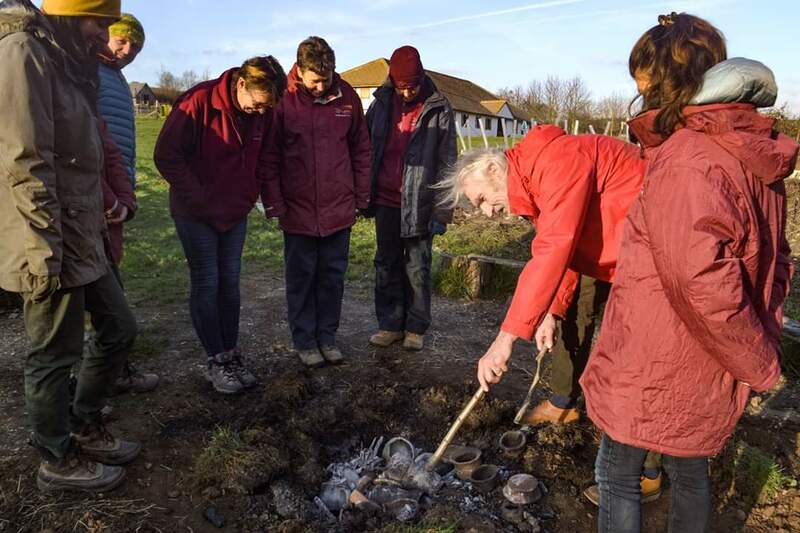 Butser Ancient Farm has given to me the opportunity to know how they work and learn from their experience. 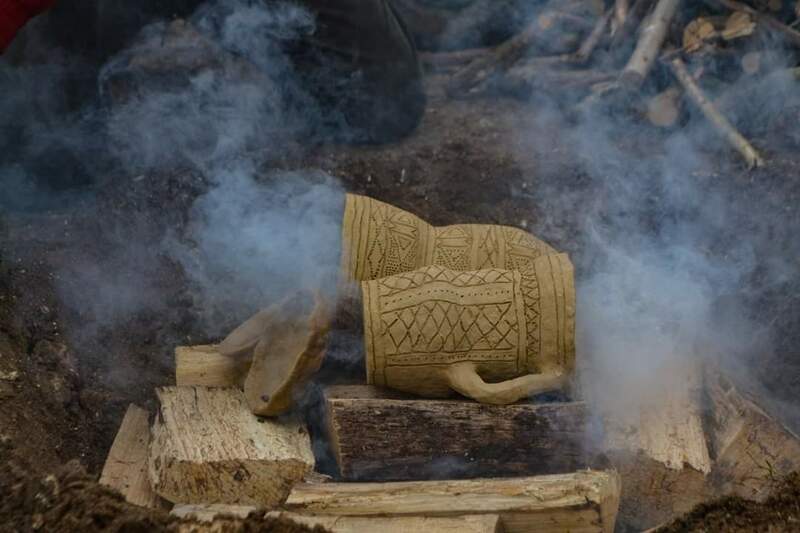 In addition, I have been able to understand how two different disciplines – experimental archaeology and education – being performed in the same place can work successfully alongside each other. But especially, what has been a very important discovery in my stay, has been the heightening of my own senses (See Figure 8), because for me, Butser Ancient Farm has been the mix of tastes, touch, smells, images and noises that truly has brought the past to life.